The whole purpose of training, I believe, is to balance the horses’ natural tendency to ‘push’ with one side of his body and to ‘carry’ with the other. To put it another way, the purpose is to create straightness, where each side of the body is sharing the burden of push and carry. We all hear about the horse needing to be ‘straight’ but do we really know what is happening to the body when it is crooked? The purpose of this blog is to talk you through the cycle of crookedness; the impact it has on the horses’ body and where it inevitably leads. Crookedness for me, means that the horse is not loading his body evenly because his body is not aligned (straight). The shoulders are not in front of the hindquarters, the ribs are bulging more one way and he is unable to balance the push and carry of his limbs. Spinal rotation; as with us, horses always want to keep their eyes level. When there is an alignment problem through the body, the spine will rotate left and right the entire way from poll to tail. Imagine you are twisting a towel to wring it out, this is what the spine does to compensate for an imbalance of push and carry. An Imbalance of Muscular Tension: overloaded muscles become dysfunctional and sit alongside underused and weak muscles, creating an imbalance of tension. An Imbalance of Joint Mobility; Muscles are responsible for moving bones from one position to another. Bones are able to move because of moveable joints. When there is an imbalance of muscular tension affecting a bone, the joint is not fully supported and will therefore reduce its mobility to protect itself. An inability to be supple; joints that do not move through their full range of movement are stiff, not supple. Can’t get inside bend? Your horse cannot be supple until he is straight. Whole Body Tension; When individual joints are unable to move correctly, the whole system has to compensate. A body in compensation mode is full of negative tension. Damage to vulnerable structures; tendons, ligaments, cartilage, vertebrae. Tension means structures are unable to cope with the LOAD they are expected to carry. Wear and tear, strains and inflammation will arise. PAIN; This is the first stage we may be aware that the horse has been in trouble; normally first shows as a loss of performance and/or undesirable behaviour. Further Muscular Imbalance: as soon as the horse feels pain, more soft tissues will switch off, taking the body further into a cycle of imbalance and compensation. The need for straightness training cannot be underestimated, and it is something that has to be revisited every single day. The kinematics of your horses’ limbs will change after just 2 hours of travel. That means your horse will move differently at your destination if he has been on the road for a minimum of 2 hours. It is ESSENTIAL that you cool your horses down on arrival at a competition to allow the postural stabilisers a chance to recover. An in-hand walk for 15-20 minutes is ideal. If you travel for 4 or more hours, your horse will have his worst performing day the 3rd day after arrival. Crank nosebands provide good stability but there are problems with being able to over tighten them. The horses back expands 30 mins after exercise and again after another 30 mins. This asks the question of how should we be fitting saddles? A saddle that is too wide creates a de-stabilising effect on the horse, which will effect his locomotion. Saddle slippage requires a multi-pronged approach to remedy; is it the saddle? the horse? the rider? is it a combination of all 3? Find Your Tribe to get a solution. You need your saddle fitter and your bodyworker working together to solve this one. This is the load that can be applied to something before it breaks. For example, a lift often has a safety factor of 10; this means it will tolerate 10x its maximal load; when it says only 20 people allowed in, it will be able to carry 10 x this many people before failure. For the horse at full gallop, his safety factor is only 1.5 times his maximal load. The horse only has 10,000 loading cycles before the bones and tendons wear out. Each step really does count! Do you really SEE your horse? As a horse owner, you will see and look at your horse every day. Probably more than once. You look at him when you are feeding, grooming, tacking up, hosing off, rugging, etc but are you really SEEING him? When you see something or someone every day, sometimes multiple times a day, it is hard to notice subtle changes in their appearance because we just stop seeing them so clearly. Ladies, this is why men don’t notice your new haircut…it is the same thing with your horse. Working with them every day can tone down your observation skills until something is so obviously different that it appears to have happened ‘overnight’. The art of seeing is quite an interesting and complex subject. We don’t all see equally. What I mean is, we will all notice and see different things even when we are looking at the same subject. For example, this has been proven with people looking at, and describing art; It is extremely common for people to assess and describe exactly the same painting, but pick out different elements that they saw; ‘didn’t you see the massive table in the background?’ ..’No, I saw the sunflower in the corner..’ It is an odd phenomenon, but it is a very human trait. In the world of crime, taking witness statements and documenting crime scenes is fraught with challenges as peoples’ recollection of events and what they saw can be quite polarizing. So, what does this mean for you as a horse owner? The musculoskeletal development of your horse provides you with encyclopaedic volumes of information, all you have to do to unlock this info is to SEE it. At this stage it doesn’t matter that you might not know why or what you are seeing, you just need to see it and describe it. Next time you are doing something with your horse, take an extra 5-10 mins, stand back and just look at your horse. Don’t force anything, just look. Look at the shapes, the soft contour lines and the more rigid lines. Look at the muscles, look at the feet. Look from both sides, from the front and from the back. It might be handy to do this with a partner. Have both of you looking at your horse and then describe what you see to each other. It doesn’t matter how basic your assessment is. Get used to just describing what you see. Remember if your sightings differ it’s because we all see differently and focus on different things! If you have the time, jot your thoughts down and then repeat the exercise for the next 5 days, writing down your assessment each time. Your horse is constantly evolving; the work you do, the time of year, health and age will all play a role in how your horses’ posture changes. You must start to see your horse as a dynamic entity that is constantly changing. 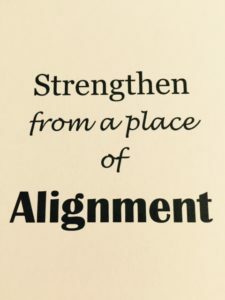 That way you become a much more discerning owner, and noticing subtle changes can potentially help to prevent problems before they have manifested. The warm up procedure of competitors at a show gives you a glimpse of what riders do at home. There are those who are focused on their horse; attentive to how it is feeling, systematic in their gradual increase of work intensity; considerate of environmental conditions and empathetic to the time required for the brain to become more work focused. Then there are the others who walk a little bit, have a little trot. Stop. Check their watch. Chat to the people on the side lines, watch others in the arena. Walk a little bit more, canter a 20m circle and head in to do their test. These riders are generally the ones who, after their test sit on their horse at the exit of the arena and dissect what they have just done in a fashion that suggests they are writing their own version of ‘War and Peace’. The habits you display at a show do tend to mirror your habits at home, so if you don’t have a warm-up and cool down practice in place every time you ride, not only are you not getting the best out of your horse, you are also creating an environment that isn’t just inviting injury, but practically begging it to show up. Let’s take a look at why the beginning and end of your training session are imperative to your horses’ welfare and performance. The warm up is the time where exercise intensity is gradually increased to prepare the horse’s body for the demands of athletic effort. An efficient warm up practice has multi-dimensional benefits that fall into both physiological and cerebral categories. As the body is moved, an increased amount of blood begins to be directed away from the organs and the digestive tract and is sent towards the working skeletal muscles and the connective tissues of the limbs. With this increased flow of blood comes a rise in temperature of the horses’ body, raising the respiratory and heart rates and allowing the horse to feed and cleanse the muscles more rapidly. This highway of nutrients and removal of waste is essential to keep muscles from fatiguing when work load and waste accumulation rises. As the soft tissues (muscles, tendons and ligaments) become warmer, their malleability increases and their tolerance to force rises considerably, making them much more resistant to injury. As the horse begins to move faster across the ground, the joint stabilising muscles (which play a key role in injury prevention) have to switch on so they can respond to the rapid fire of messages and support the joints as they begin to move faster across the ground under an increased amount of load. Environmental conditions (heat and cold) need to be taken into consideration, as this will effect the amount of time it takes for the soft tissues to become warmer. 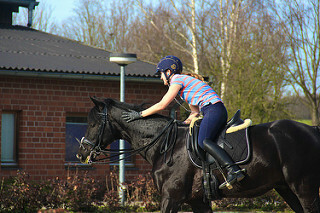 Having a warm up routine allows the horse to transition into work mode not only for the body, but also for his brain. It allows him the opportunity to explore how his body is feeling, how he needs to regulate his temperature to the environment, what the rider is asking for and what might be lurking in the hedge. If you are warming up at a competition, this part of your preparation may require more time than when you are training at home, as the amount of external stimulation is far greater. The warm-up is also essential for the rider, as it can provide feedback of encyclopaedic value if the right attention is given; what feels easy, what feels more challenging, how attentive is he, has he learnt anything from yesterday, what needs to be focused on once we are warmed up, etc should all be part of the dialogue that you run through every time you get on. Horses are not dissimilar to people; their bodies will feel different dependant on what they did the day before, or 2 days ago, how much movement they have had, how hot or cold it is, when they last ate, what equipment they are wearing and how the rider is feeling. It may sound obvious, but you would be surprised at the number of people who don’t warm up with a rug over the horses’ hind quarters in cold weather. The whole premise of preparing your horse for training is to warm the soft tissues and increase heart and respiratory rates. Cold weather means that the internal temperature of the muscles will be lower than on a warm day. By keeping the back and hind quarters under a rug, for at least the first 10-15 mins will aid your preparation and allow the horse to relax into his work far quicker. Warm days present their own challenges; the muscles will be at a naturally higher temperature even at resting, so your pre-work regime may be modified so that you don’t overheat your horse. • Glean invaluable information on how your horses body is feeling, so you can adapt your training session accordingly. The warm up should have as considered an approach as the main training session. There needs to be a plan, which is adaptable but anchored with a consistent regime/theme. Comparison can only be made of peas in the same pod; it is much harder to compare how your horse is feeling from one day to the next if your work is not consistent. There is no one formula that is suitable for every horse, but there needs to be a formula that is suitable for yours. As with any athletes training programme, you need to be consistent but adaptable. If you need longer in the warm up phase to go through more suppling exercises, more transitions etc then take the time you need. It may mean that this is all your horse requires on that particular day. The key objective is to become disciplined about your warm up. Don’t waste steps or energy, be efficient and fair and empathetic to practicality. If you can’t start in walk because it would be unsafe, move forward in trot. Return to the walk once you can! Use this time to be attentive to how your horse is feeling. Not only will this help guide your training, but it may also alert you to potential problems. Once exercise has been completed, the body needs to be gradually returned to its resting temperature and pre-exercise physiological condition. Failing to warm the horse down correctly is as damaging to the body as failing to warm it up. As we have seen, exercise sends oxygenated blood towards the working skeletal muscles and away from the organs. The warm down period is when this volume of blood is gradually redistributed around the body, sending more back to the organs and the digestive tract. Physiologically, the main adhesions within soft tissues will occur as they begin to cool down. All that energy and micro trauma that has been created through work starts to settle in as the tissues cool and it is in these moments where muscular restrictions can start to take hold. By cooling the horse gradually through steady movement, the systems have a chance to effectively catch up with waste removal from the muscles. The stretching and contracting mechanism that happens to soft tissues as they are moving allows the fibres to gradually return to their resting length, cleansing as they go. The cool down requirement will depend upon the intensity of your training session. As a general rule, the more intense work you have done, the longer your cool down should be but all should consist of a steady trot with a lowered frame (not a loose, on the forehand frame) for 2 mins around the arena in both directions to start, moving into at least 10 minutes of walking. This can be increased to 15 or 20 if you have been doing higher level movements and intense collection. It is a good idea to do the latter stages of the cool down in hand. Of course, weather plays a role in how you manage your cool down as well. In hot temperatures, you may need to reduce the horses body temperature with water and longer walking in hand. If it is cold, put a rug over his hindquarters; sweat will cool quicker than water, so a sweaty horse on a cold day can begin to chill quite quickly. The success of your training and competition experiences can be predicted on the effectiveness and intelligence of your warm up and cool down. You are in charge of preparing an athlete for training and for allowing the body to recover from training in a safe and controlled manner. For soundness, welfare and performance reasons, neither end of your training session should be neglected. Your horse has 4 legs (in case you weren’t sure) and it is the rider’s job to work towards getting your horse to use his 4 legs as evenly as possible. At this stage I’m not too worried about the 60:40 ratio that we are all familiar with, I am more concerned about each leg taking its own portion of the load. Every horse will want to have 60% of his weight over the front two feet and 40% over the hind two. The issue comes if there is a disparity of load between the hind feet and the front feet. 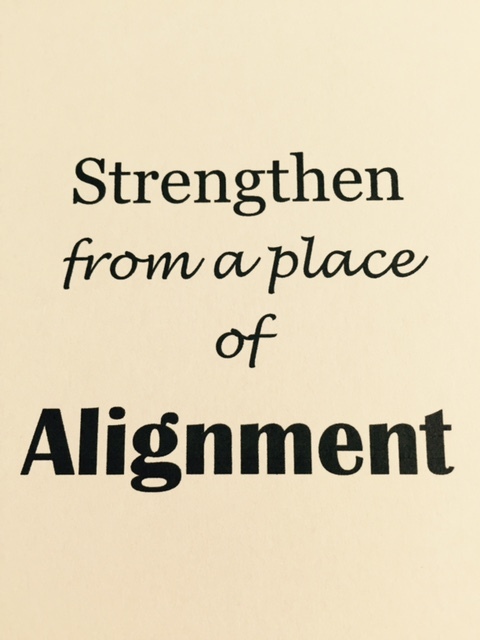 When this happens, it is an issue of alignment and it will mean that your base of support is not stable. This creates difficulty turning, going sideways, being even into the contact etc. It also means that one leg or one side of the body is working under greater stress than the other, and is therefore vulnerable to injury. Training the body to operate in a different way than what it is used to is demanding and requires a methodical process. The secret is to always be mindful of the crookedness in your horse, and in your own body. Remember your horse only has one hour (or thereabouts) of training each day. For the other 23 he is leaning into his crookedness. It is the same for riders. Professional riders might be riding for the majority of the day, but if they don’t do this with an awareness of their own crookedness, they are strengthening the wonkiness of their body rather than moving it more into a place of alignment. Because we are only really seeing horse and rider combinations when they have reached the top of their game, it is hard to imagine the road they have taken to get there. We seem to think they have been waved with a fairy godmother wand which has catapulted them ‘overnight’ to great success. Unfortunately, unless you are successful at winning lotto, there is no such thing as an overnight success, and it is imperative to the welfare of our horses that we remember what success is built upon.